By: John Stirling Meyer, M.D. Keywords: XECTCBF, tPa, thrombolytic therapy, ischemic stroke, ischemic threshold = 16 mls/100 gm brain/min. NINDS Stroke Study Group has recommended intravenous (IV) or intra-arterial (IA) thrombolytic therapy in acute ischemic stroke utilizing recombinant tissue plasminogen activator (rtpa) for treatment of acute ischemic stroke, as approved by the U.S. FDA; provided that treatment is initiated within 3 hours for intravenous and within 4 hours via arterial catheters inserted into thrombosed cerebral vessels, timed from the time of stroke onset[1-8]. Design of this protocol biases improvement outcomes among untreated control groups because participants with transient ischemic attacks (TIAs), with an excellent prognosis for recovery are likely to be included, by error, among the untreated control groups thought to have progressive stroke. This is because TIAs are, by definition, strokes that spontaneously recover within 24 hours. However, they cannot be separated clinically from acute stroke within the first four hours. Howard Yonas� group at the University of Pittsburg (1) showed that inhalation for 8 minutes of 26% of Xenon during CT scans of the brain prior to TPA therapy, are justified since the acquired LCBF values predict the size and severity of infarcted brain tissue. They also exclude patients with TIAs which have only mildly reduced LCBF values. Severely reduced LCBF values below 16 ml./100 gm. of brain per minute, fall below defined zones of brain likely to proceed to regional cerebral infarction and, therefore, will benefity by TPA therapy with the exception of large zones of brain with near zero LCBF which will, in all likelihood, progress to malignant and massive cerebral brain infarction, with increased intracranial pressure (ICP), brain herniation and death or conversion to fatal intracranial hematoma if ICP is not reduced by Manitol or decompressive craniectomy of the swollen brain[3,4]. LCBF measures provide positive indications for thrombolytic therapy as well as contraindications to throbolysis if there are already large zones of infarcted brain with zero flow liable to lead to brain herniation and death or hemorrhagic conversion. LCBF values that fall persistently below 16 ml./100 gm. brain per minute predict impending infarction in these ischemic regions unless flow is restored by TPA administration by dissolving the clot occluding the blood vessels of supply. This accurate quantification of regional perfusion is only possible by XeCTCBF methodology since neither MRI or SPECT methodology is able to quantitate regional cerebral perfusion. The present author and colleagues were the first to attempt successful thrombolytic therapy among patients with acute ischemic infarction or thrombotic stroke due to cerebrovascular arterial thrombosis confirmed in those early days by cerebral angiography since CT and MRI methods had yet to be developed. Our trials in stroke suggested by the then recent results of successful lysis of thrombosed coronary arteries prior to impending myocardial infarction. With my colleagues, Fumio Gotoh, Robert Herndon, John Gilroy and Marian Barnhart, we first tested thrombolytic therapy in animal models, and later among human patients, with acute ischemic stroke. We were able to show by serial cerebral arteriography that intravenous thrombolytic therapy dissolved blood clots in the middle cerebral and internal carotid arteries among stroke patients treated within 72 hours of onset[5-9-12]. In the late 1950s and early 1960s, neither CT nor MRI scanners were invented so that cerebral hemorrhagic lesions could be excluded by these tests. Although our double-blind randomized trials at that time showed successful and rapid dissolution of cerebral thrombotic clots, undoubtedly, a few hemorrhagic stroke patients were included in our treatment arm of our controlled, clinical trials resulting in an unacceptably high incidence of cerebral hemorrhage in the treatment group[12,13]. Later, the advent of CT scanning excluded cerebral hemorrhage and thrombolytic therapy of acute stroke eventually became approved 30 years later.[5,6]. When CT scanning became available, both cerebral hemorrhage and hemorrhagic infarction posing as acute ischemic strokes were excluded from the thrombolytic arm in the comparative trial reports from the NINDS-tPa stroke study group with significantly improved benefit (6-8). A later study authored by the second European-Australian acute stroke study group improved the window for intravenous tPa which extended from 3 to 6 hours among 800 randomized acute stroke patients. There was no significant difference between the outcome among the thrombolytic group versus the untreated placebo group, but the unexpectedly favorable results in the placebo group were attributed to erroneous inclusion of many TIAs in the placebo group since TIAs have favorable outcome without treatment had this error been excluded by XECT-CBF screening the value of thrombolytic therapy would most likely have been confirmed. So the question remains moot whether or not XECT-CBF screening would have excluded TIA patients and improved the experimental design and results of the trials. XeCT-CBF should make possible exclusion of patients likely to undergo hemorrhagic conversion of ischemic stroke in the areas showing zero flow. Rubin CT, Firlik AT, Levy E, Pinazola RR, Yonas H. Xenon CT Cerebral blood flow measurements in acute cerebral ischemia. Review of 56 cases. J Stroke and Cerebrovascular Diseases December 8, 1999. Meyer JS, Editorial Commentary on �Xenon CT Cerebral Blood Flow Measurements in Acute Cerebral Ischemia: Review of 56 cases� J. Stroke and Cerebrovascular Disease, 8, 01, 1999. Meyer JS, Rauch GM. Why emergency XeCT-CBF should become routine in acute ischemic stroke before thrombolytic therapy. Keio J. of Med., 2000, 49, Supplement 1, A25-A28. Meyer JS, Takashima S, Terayama Y, Obara K. Xenon contrast CT measurements of zero and low flow predict later thrombo embolic cerebral infarction among patients and stroke models. In: Tomita M, ed. Excerpta Medica International Congress Series, Symposium on Microcirculatory Stasis in the Brain. Elsevier: Amsterdam, 1993:491 496. Meyer JS. Controlled clinical trials of cerebral thrombolysis: a voice from the past. In: Powers WJ, Raichle ME, eds. Cerebrovascular Diseases. Fifteenth Princeton) Conference. New York: Raven Press, 1986:343 347. The National Institute of Neurological Disorders and Stroke: Stroke Study Group: Tissue plasminogen activator for acute ischemic stroke. New Eng J Med: 333: 1581-1587, 1995. The NINDS rtPa Stroke Study Group: Generalized efficacy of rtPa for acute ischemic stroke: subgroup analysis of the NINDS tPa stroke trial. Stroke: 28: 271, 1999. The NINDS tPa Stroke Study Group: Intracerebral arterial hemorrhage after intravenous theratherapy for ischemic stroke. Stroke: 28: 2109-2119, 1997. Meyer JS, Hemdon RM, Gotoh G, Tazaki Y, Nelson JN, Johnson JF. Therapeutic thrombolysis. In: Millikan CH, Siekert RG, Whisnant JP, eds. Cerebral Vascular Diseases. Third Princeton Conf. New York: Grune & Stratton, 1961:160 178. Meyer JS, Gilroy J, Barnhart MI, Johnson JF Therapeutic thrombolysis in cerebral thromboembolism. Double blind evaluation of intravenous plasmin therapy in carotid and middle cerebral artery occlusion. Neurol 1963;13:927 937. Meyer JS, Gilroy J, Barnhart MI, Johnson JF. Anticoagulants plus streptokinase therapy in progressive stroke. J Amer Med Assn 1964; 189:373. Meyer, JS, Gilroy, J, Barnhart, MI, Johnson, JF. Therapeutic thrombolysis in cerebral thrombo-embolism. Randomized evaluation of intravenous streptokinase. Millikan CH, Siekert R, Whisnant J, eds. Cerebral Vascular Diseases. Fourth Princeton Conference. New York:Grune & Stratton, 1965. Canada Med Assn J 1963;89:806 809. Hacke, W, Blukonki, E, Steiner, T. The results of the Second European-Australian Acute Stroke Study (ECASSII). How do they influence the use of thrombolytic therapy in acute ischemic stroke advances in stroke management. Chase Medical Communications, Inc. Wilton, Conn. 1999: 1:3-18. Dr. John S. Meyer, M.D., C.M., B.S., M.Sc., F.A.N.A., F.A.A.N., F.A.H.A., is a world-renowned specialist in the field of Neurology and Neuropsychology. He has provided expert testimony in several hundred legal cases involving Stroke, Ruptured Aneurysm, Alzheimer's Disease, Head Injuries, Dementia and sub-standard care in neurological diseases. 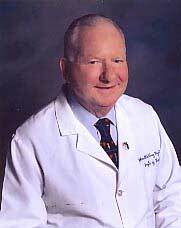 See Dr. Meyer's Profile on Experts.com.